Finally here is the bike that will have a nice spot in my Collection. 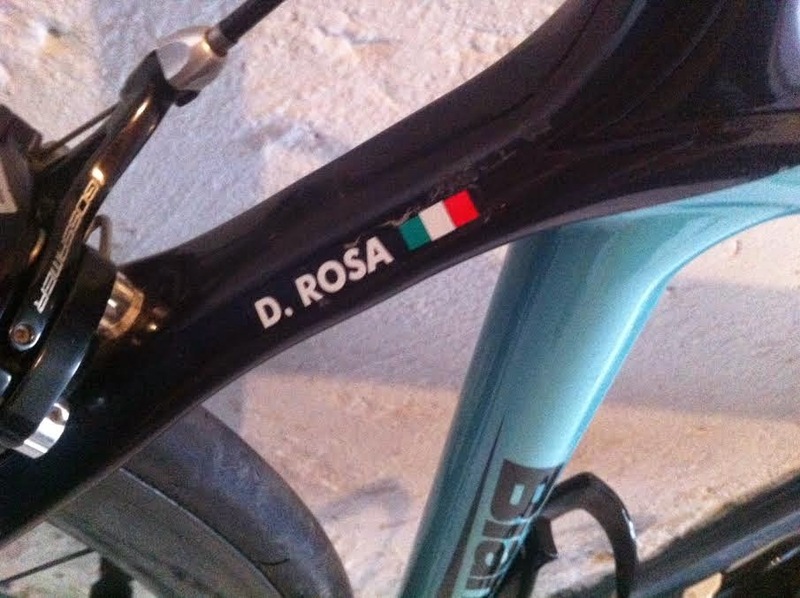 Previously used by Diego Rosa in Team Androni Giocattoli-Venezuela. 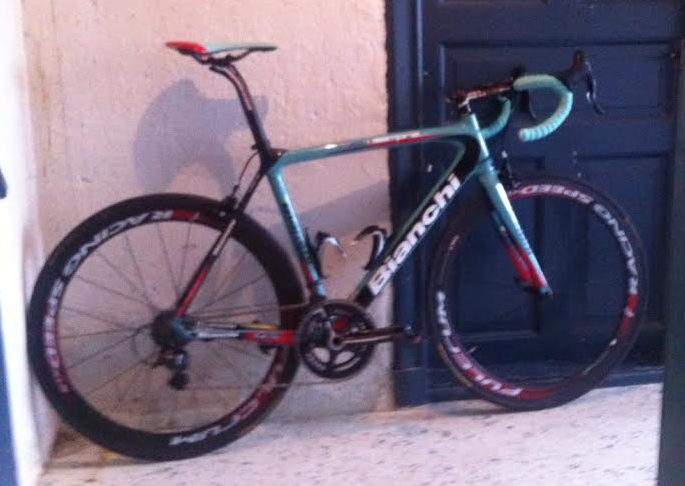 This is the bike that I will use tomorrow in a Gran Fondo that I will participate in. I am a lycky guy at the moment. 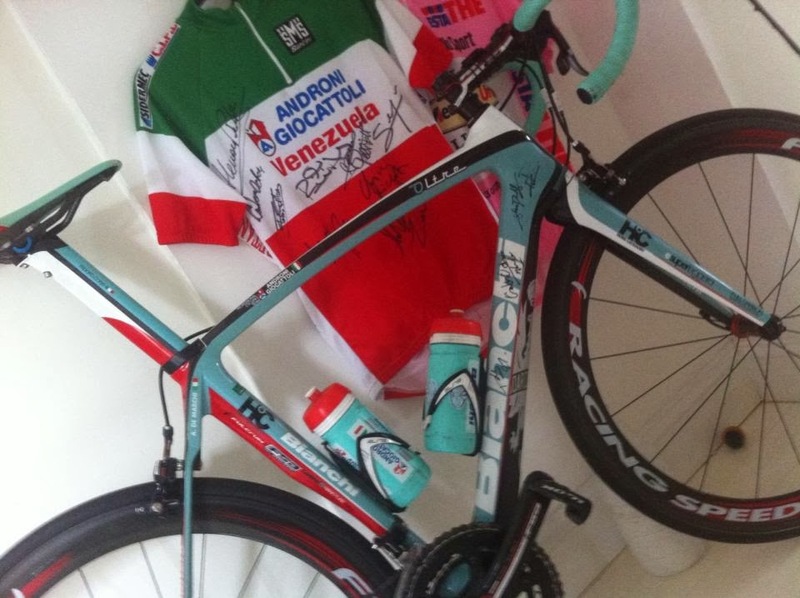 I am sorry about the quality of the photo of the bike, I will post better photos later.